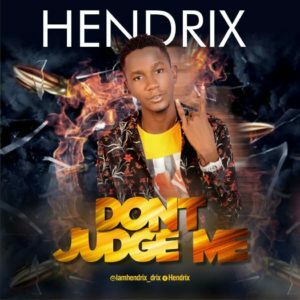 Hendrix is a fast rising Artist from Edo State dropping his second single in a space of one month of the release of Money Be Man. The song is mixed and mastered by one of Agege renounced producer Gp Xplosive Beatz. Dont Judge Me is an inspiration song which speaks against people judging one another. Download and Enjoy the amazing tune below!! !